Banadiri Political Reformation Council is complaining the way Somal Federal Government is nominating the members of national consultative forum which will be discussed the so-called best electoral process that is fair and peaceful. "We, Banadiri Community, didn’t get our share in the formation of national constative forum becuase we don’t have our state and we don’t have a minister in this government therefore i call the federal government specially the president and the regional presidents to consider the fair and justice in the formation of national constative forum” Lutfi Sheriff Mohamed, Chairman of Banadiri Political Reformation Council, told reporters in the news conference in mogadishu. The Banadiri Political Reformation Council is also streesing that the federal government is not concidering the Banadiri community at all levels in the political process from Banadir state level, from government level and from civil society level which is undermined in their political rights. The council is intensively engaging the formation of Banadir State which will be incldued all the orginal inihibitants of this region from other clans and it will be in line somali federal constitution and it will closely work with the somali federal government. 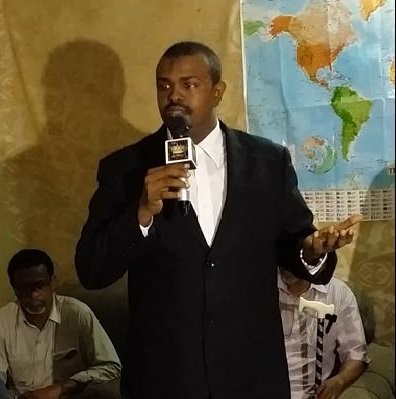 "I call the international community not to allow these larger clans to dominate the poltical process and the benefits of political office and patronage otherwise, i reassure you that Banadiri community and all other minority groups will believe that their rights have not considerd in the federal process and this will increase the chances of future instability” Lutfi Sheriff Mohamed, Chairman of Banadiri Political Reformation Council, added. 1.Banadiri community will not support any outcome of the meetings of the exclusive National Consultative Forum for the Vision 2016, the forum is based on bias and clan marginalization. 2.The Council is planning to work on the formation of Banadir state, which will comprise of the districts of Mogadishu, and it will be the legitimate rights of Banadiri Community to establish Banadir Region as its Federal state. 3.We call on international community not to support any outcome made by the current National Consultative Forum, which represents only the armed clans and ignored all the minority and non armed communities in Somalia.